Sandra Mathews, first female technician, was employed. Staff establishment increased to 29 10/40. An additional farm residence was completed and a bus shelter on Bluff Road provided. 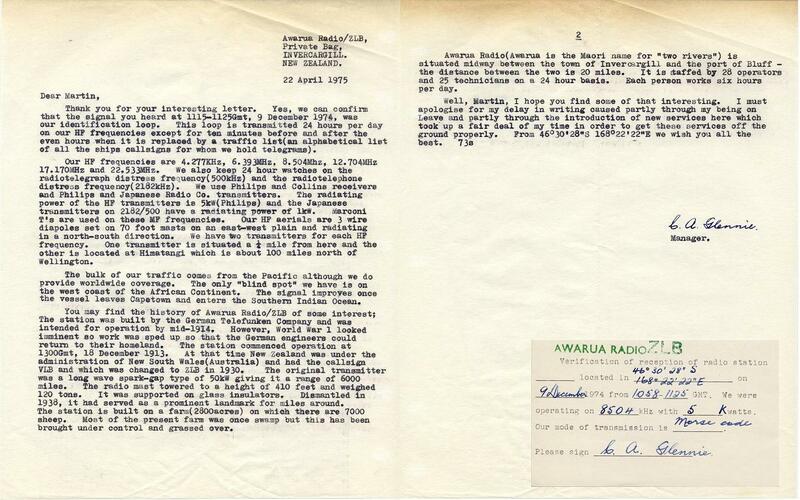 ZLG Haast ceased radiotelegraph working and changed to telephone working. Milford Sound ZMV landline completed, r/t retained as emergency link. E Ellenden retired in January. JF Ryan took over as Superintendent on 24 May. The position was regraded to Class Special 3 on 1 April, and Senior Supervisor Class Special 1. The three 150ft steel lattice self-supporting towers built in 1941 were condemned due to corrosion. It would be another five years, however, before they were replaced. In September, the area commercial QSP system ceased, through being unacceptable on defence communications network. Overseas traffic was routed through commercial cable systems. 16 MHz watch opened 0880-1800 hours NZST. On 16 July ZLW discontinued HF broadcasting of outward traffic. All HF traffic (inward and outward) now centred at ZLB. 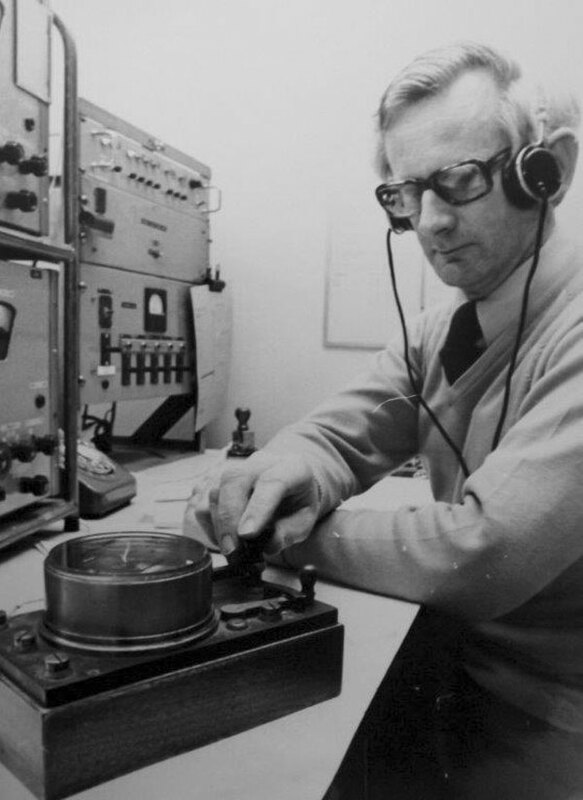 At 0938 on 20 May 1973, Awarua Radio received a call on 2182 from the fishing vessel Stina ZMVS indicating the 50-foot wooden boat had struck a rock near the entrance to Caswell Sound on the southern west coast of New Zealand’s South Island. In February JF Ryan, Superintendent, was transferred to PO HQ. In March HJ Milne (Ex ZLD) was appointed Superintendent. On 1 April the designation of Superintendent changed to Manager. In May ZLB opened a request service on 4 & 6 MHz. 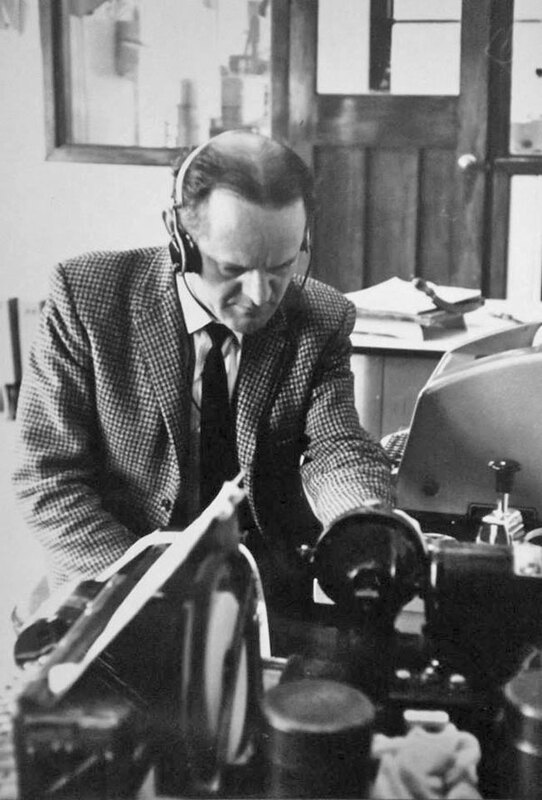 In June HJ Milne retired, and was replaced by CA Glennie. September saw a new Small Ships room added to the Receiving Station, with a new table designed and built locally. 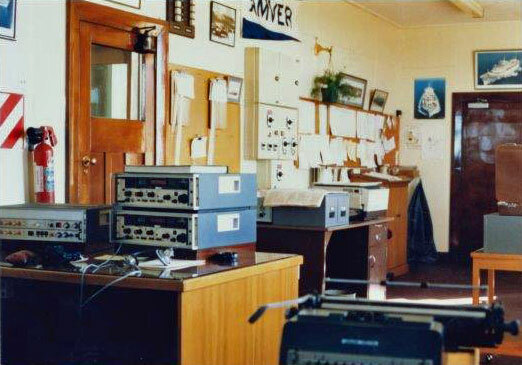 The new small ships desk at Awarua Radio ZLB after September 1974. 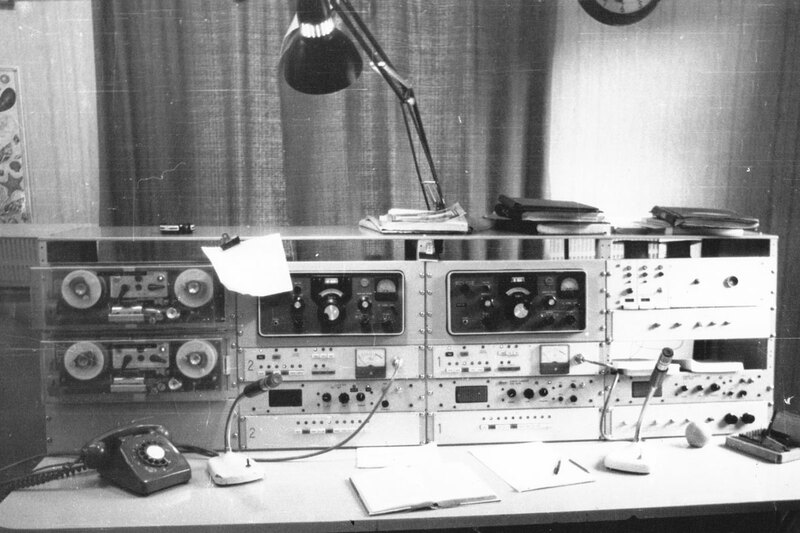 At left, 2 Soundscriber 24-hour tape recorders; centre (2 bays): 2 Collins 51S-1 HF receivers (top), JRC transmitter remote controls, Codan 6081S receivers, transmitter selector panels; at top right AWA auto alarm. Photo courtesy David Smith. Click to enlarge. 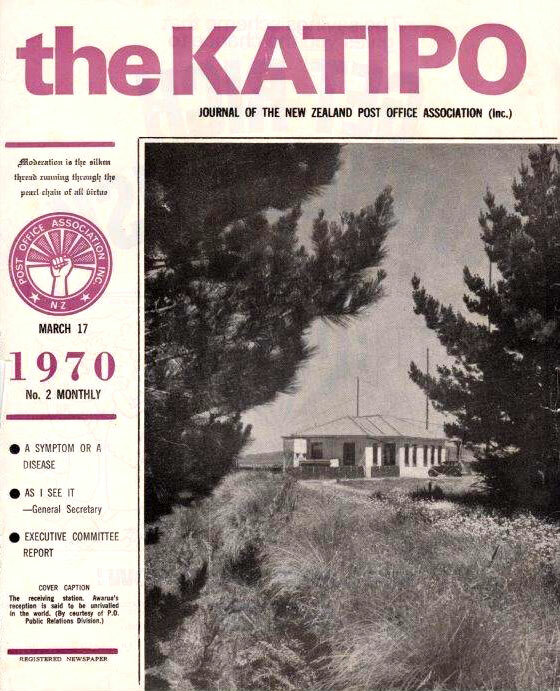 Also in September, RN McVicar of Auckland Radio ZLD was appointed Senior Supervisor at Awarua, but in October he declined. In October the nightly 8 MHz sked with KFS ceased, rendered unnecessary by telex facilities. 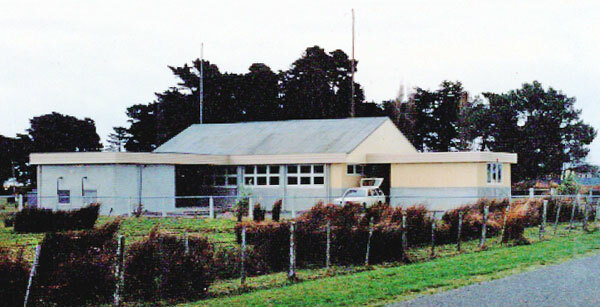 ZLB had operating teleprinters to Naval Communications Station – Waiouru ZLO, Wellington Radio ZLW, Gentex, and Telex (installed for Schmitt Ocean Towage, Rotterdam, who were engaged in tug work with Penrod 2 oil drilling rig). On 28 January a fifth supervisor’s position was approved, and in July a third operating unit for leave relief approved. 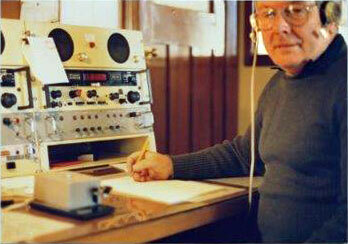 In March, two solid-state Nautel transmitters were installed for 500kHz work. 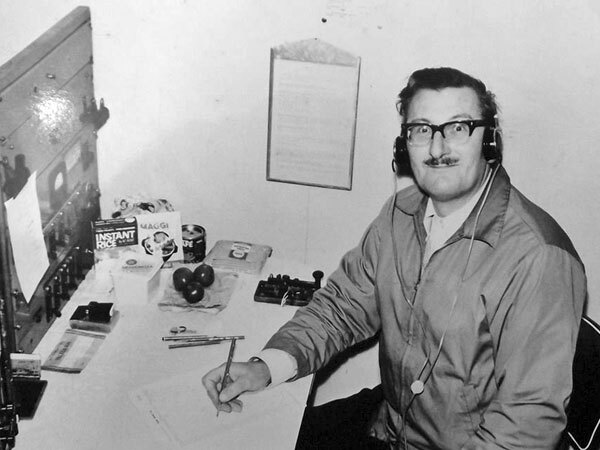 On 31 July VJM Macquarie Island CW meteorological skeds were discontinued when the Australians installed teleprinters. From 1 May to 30 September, 4 MHz HF watch opened 0700-1900 GMT daily and 12 MHz closed at these times. On 28 October Malin Head Radio (51N – 19W) was heard working a distress on 2182 kHz. I made a point of checking the distress records for our radio station for that date and can confirm that Malin Head Radio did indeed work distress traffic. I noted that the position given was 53 North and 19 West. This is an amazing bit of watchkeeping and must be the furthest distance for our transmitters, of the time. 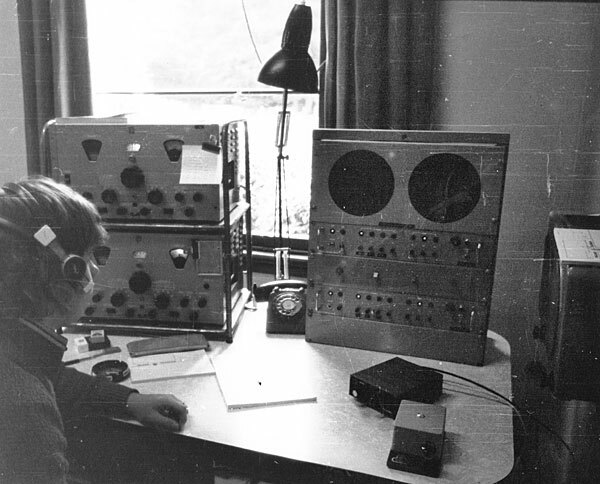 At that time we were using Pye transmitters, with a 5CX1500B valve in the final, running compatible AM with 500 watts carrier. We later changed to USB in the following years and ran 1 KW from SPT gear, replaced by German transmitters about 5 years ago. The antenna was, and still is, 150 foot masts, one for 2182 kHz and the other usually used on our working frequency of 1677 kHz. The original 500 kHz Tee antenna strung between the two towers is used on Navtex on 518 kHz and 490 kHz these days. Personally, I retired just over two years ago, having completed 34 years at EJM, and a further seven years before that at sea as a Radio Officer. Really enjoyed your website. 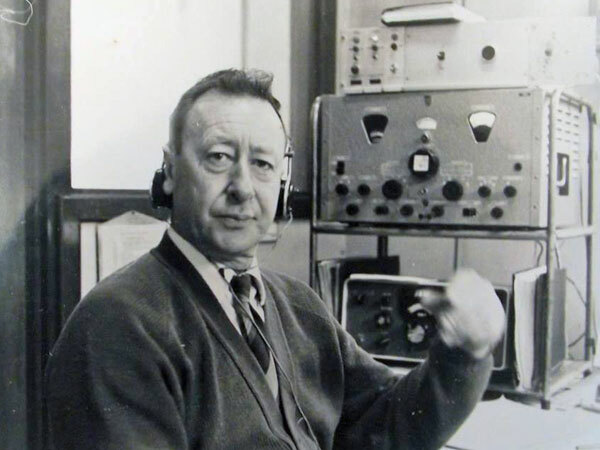 I am particularly interested in 500 kHz, stories of such, and recordings also of 600m/500 kHz. On 6 November the daily sked at 1130 with VJS was discontinued. Penrod 2 now drilling in Foveaux Strait, rig working r/t for Met traffic. There was suspicion and alarm generated in coast stations following a proposal by the Director of Radio Services that coast stations transfer control to CPMs. JT Dudley was appointed Manager in September. The takeover bid by CPM failed and the proposal was dropped in October. PJ Collett was appointed Senior Supervisor in November. On 30 October, two of the three 150ft steel lattice towers from 1941 were demolished due to their poor condition. 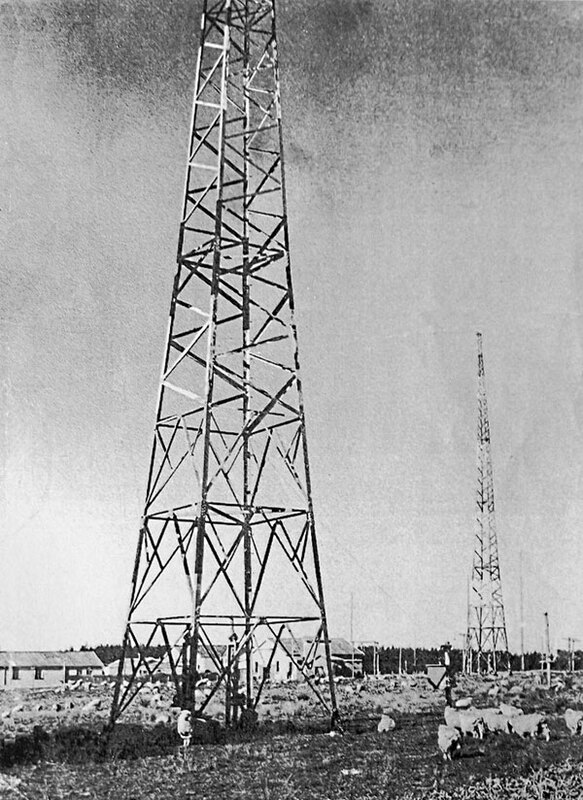 On 15 November, two 120ft guyed towers were erected for the 500 kHz aerial. 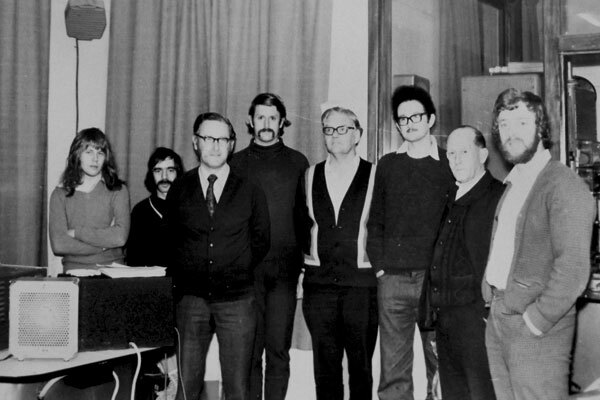 A Managers seminar was held in Wellington in March. 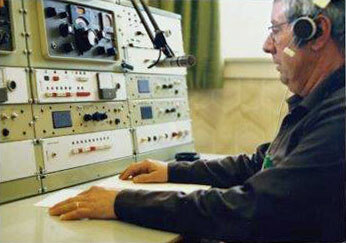 On 1 June spot frequency calling began on HF, but due to lack of proper equipment, only common channels were guarded. In November ceiling was lowered, carpet laid and new filtered fluorescent lighting added. On 11 November, the HF DF facility was withdrawn and the Adcock DF sent to a museum. 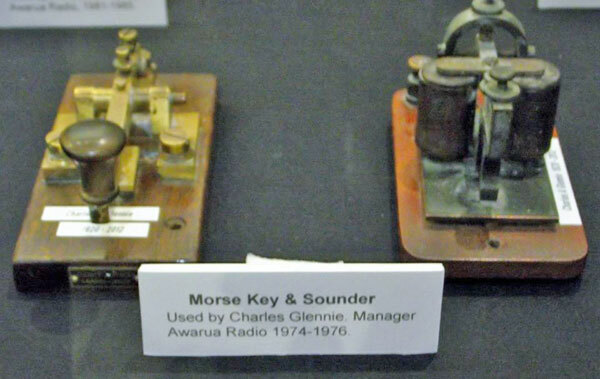 In December the old iron horse autokeyer was sent to a museum and replaced with a new Model 750 teleprinter/morse converter autokeyer, all electronic. The last of the three 150ft towers built in 1941 was to be demolished in 1977. No other information available at this time. On 1 January, speaker watch commenced on 4125 kHz. Codan fixed-tune receivers were located in the back room for 2162, 2182, 2196, 4125, 4143.6, and 4414 kHz. In March a telephone service was introduced to Dog Island, and weather reports were now passed by this medium. Female toilets were added to the retiring room. The Post Office Gentex network changed from tape machines to page printers. In February, Centre Island was linked to the mainland by telephone. 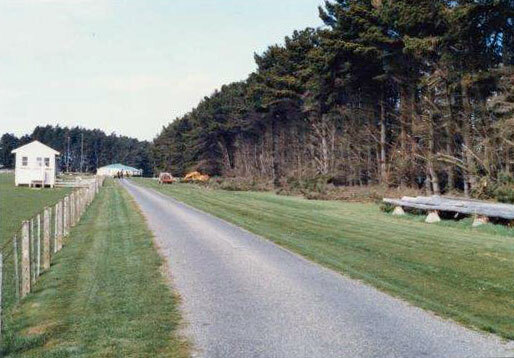 Direct circuit to Wellington was no longer necessary, traffic passed via the gentex network. Direct circuit now to Kelburn Weather Office. Later in the year Eddystone digital receivers (the Marconi Pacific X receivers made by Eddystone? -Ed) replaced the Philips, in use since 1956. JK (Bill) Riley retired 24th December.